Tired of slathering yourself with mosquito repellents? We know very well that you can’t neglect this tiresome task because those itchy red swellings that pop up later on the exposed skin, are not a pleasant sight. The Invisaband might just be the product for you. 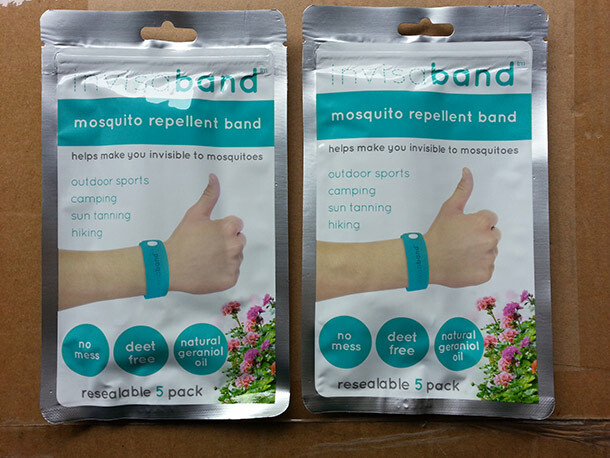 It is a bracelet that confuses the mosquito’s senses by releasing a natural oil, saving you from the hassle of applying all those repellents and also ridding you off from irritating mosquito bites. 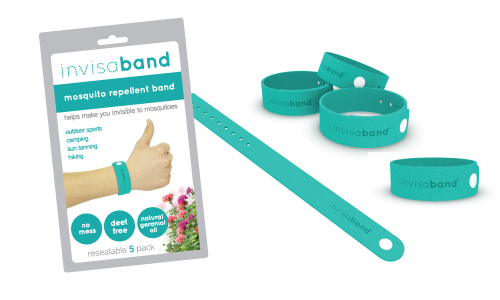 The main ingredient of Invisaband is extracted from geranium flowers, a plant long known for its capability to repel mosquitoes and other insects. This extracted oil is called geranoil and is released slowly through the microfiber material of the Invisaband, in a process that provides more than 120 hours of protection to the user. 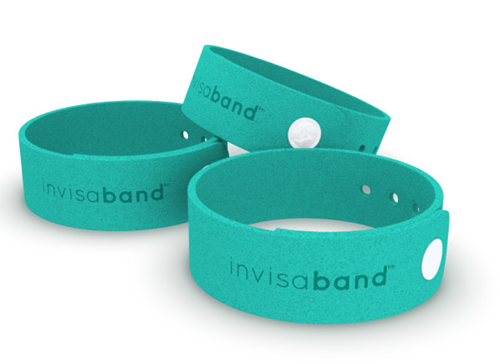 The band comes with adjustability options and is provided with several sizing holes. When not in use, the band can be placed in an airtight pouch to preserve its capabilities. Invisaband is not the only one of its kind, there have been more researches conducted to acquire protection against pesky insects. Researchers have given a thought to zapping off mosquitoes with lasers, creating light barriers that are impenetrable to replace the usual fly screens and also developing clothing with square patches for the purpose. 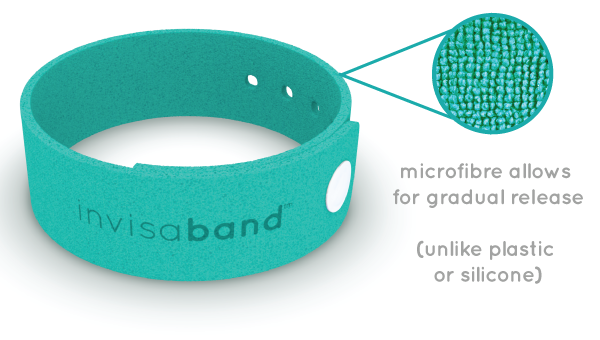 The team behind the Invisaband project is going for a simpler approach, combining something natural with a fashion accessory that can be worn in routine. The target is to raise $10,000 on Indiegogo so that production can be started. Offering packs of five for a pledge of $19, the shipping was started in September this year. A pretty cool gadget to have in tropical weather, isn’t it?